I’ve been procrastinating writing this post for a while because I was worried that I wouldn’t be able to cover ALL of my favorite places in the Salt Lake area. This past week I found out one of my best friends from high school and college is moving out here to the great SLC! I am ecstatic, and cannot wait to show her all my adventures here and in the US Western states! She wanted me to show her “all the cool spots” in SLC, so I figured it was time to finally share this post. What a perfect opportunity! I tried to be selective and limit the amount of spots I picked for each category, but I may have to do a follow up post adding to this list. Fat Fish is easily one of my favorite spots that I have found in SLC thus far. I LOVE sushi, and it is my comfort food. This place is great because it has cheap but quality sushi (I’m talking like $9 for a large, signature roll!) Unfortunately, it’s grown quite popular so there’s often a wait on the weekend nights, but we endure it because I love their sushi and Brighton loves their pho! 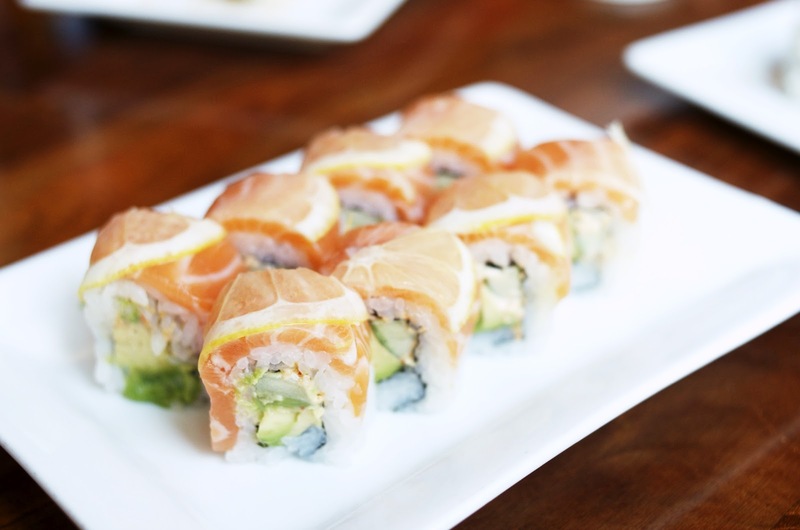 They have a variety of options of both sushi and entree-style dishes. This is where you go to celebrate something, because it’s quite pricey and posh. (Is that the right word for this type of place? Anyways…) There is ALWAYS a wait on weekend nights, and maybe even week days. This is the best sushi I’ve had in Downtown Salt Lake so far. If you’re going out for an occasion, go here! This has been my go-to restaurant recently. Remember when I said sushi is my comfort food? This place is close to our new house, and I feel like it’s the perfect mix of slightly upscale, hip environment, and great variety of sushi and entrees that can satisfy both Brighton and I when he doesn’t crave sushi as much as me. I also love their sashimi. (Mmmm, to die for!) I like to take visitors here because to me, it feels special, but it’s still affordable overall. I wrote a post about this a while ago, but I’ve since updated my list of favorite spots. There are a couple old favorites and new ones as well. This was the first coffee shop I went to when I moved, and I absolutely loved the vibe. I have not changed my mind in the 3.5 years of living here. I suggest this place to new friends and visitors a lot. I will go here when I am craving their breakfast bowl and a Golden Graham latte (but really, everything is yummy here, including the food!) The downside is that this place has become infinitly busy since I first started coming, and sometimes you can’t grab a table. What’s pretty fun though is that they often have live music on their piano, which creates a great community feel. This small, hidden gem is a quiet neighborhood spot that I love because it has a giant window for me to stare out whilst working away. They have many regulars that I saw often when I was going there every day for a while, including our local UPS guy! I liked their coffee, but I liked their location and reliability for seating more. This is currently where I am writing this post. I love this place! They have awesome Blue Copper coffee, gelato, and toast. It’s usually busy, and I like the community feel and location. They are situated in the Holladay Village Plaza, which is perfect if you want to grab some lunch and coffee afterwards. (Or in my case, the other way around). 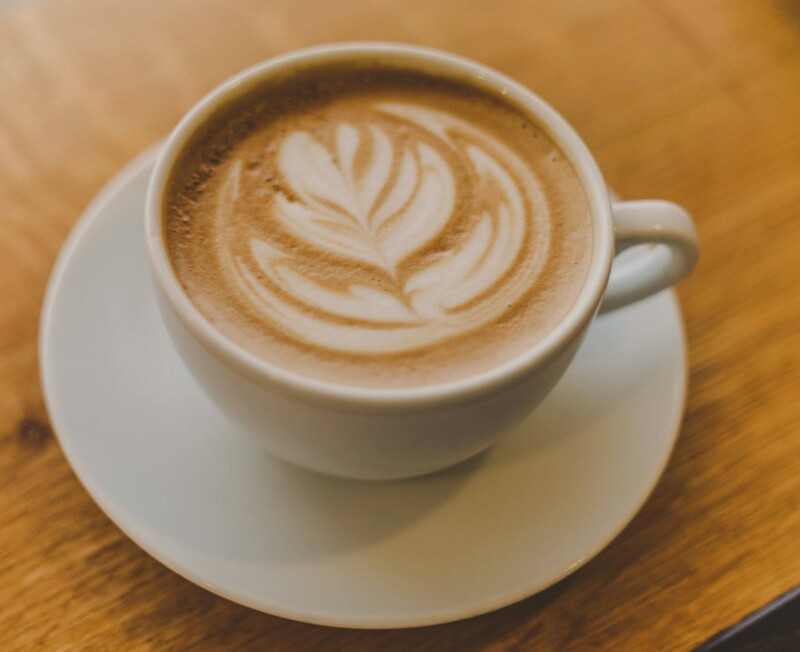 Like Publik, they have a hipster, industrial feel which I enjoy because they have taken care to provide many outlets for coffee-shop-workers like me. But in all seriousness, their coffee is DELICIOUS. I also enjoy their chai latte, which is made in house. Nomz. This place was featured on Diners, Drive-Ins, and Dives! Pretty cool, huh? I love this place for a couple different types of food. The first, is its Italian food. I love their gnocci. 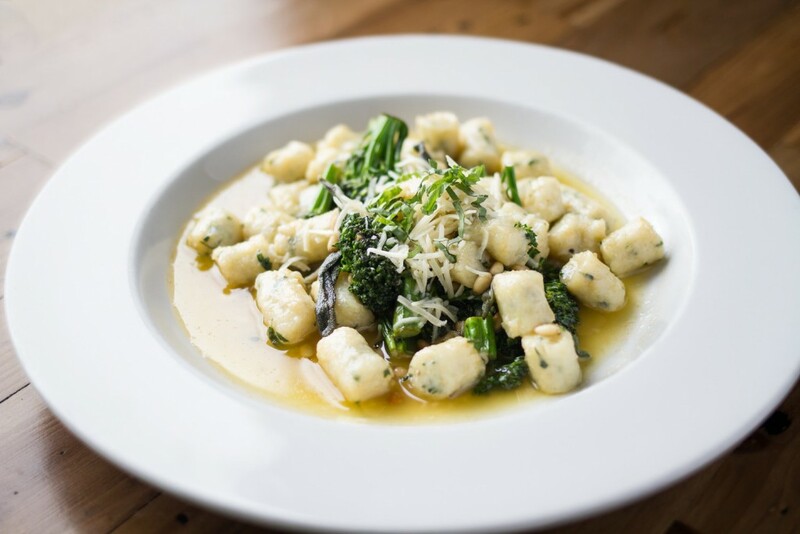 I found this place one day because I was oddly craving gnocchi, and only knew of one place to get some really delicious gnocchi. Brighton also enjoys their breakfast (which I will get to later in the post). They have great traditional Italian comfort food staples at a reasonable price! I discovered this place during the Dine o’ Round week in Downtown Salt Lake (usually happens in September). I enjoy their homemade noodles, and gnocchi! I feel that they have a great family environment with tasty Italian food to match. Their menu is not extremely diverse, but you can get pizza, salad, soups, entrees, and of course, pasta! This is where my family goes for a more upscale, but neighborhood feel. Everything we’ve tried there (as a family) as been stellar and unique. They have a great variety of Italian options to choose from, and everything is fresh. They have an open air patio, which is perfect during the warmer months to grab a glass of wine and eat some comfort food. Their staff is also excellent, and we always feel taken care of when we come here– which is tough to accomplish when you have a larger group, including a newborn! My friend Kelli told me about this place a little while ago, and I instantly fell in love. Their known for their homemade pizzas and pastas. I come here for the chicken piccata, which is not your typical piccata. It’s got a light breading on the chicken, while still maintaining its juicy quality. 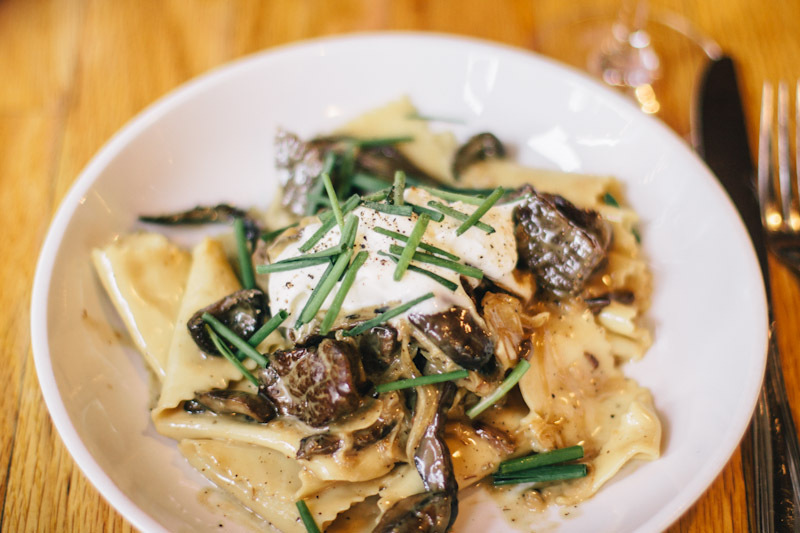 And the pasta is probably some of the best I’ve tasted in SLC– You can tell that they make this pasta from scratch! The restaurant also has a great cozy, yet modern feel to it. If you’re looking for quick, delicious, and affordable street tacos, this is the place for you! We love it because they’re extremely affordable, but their meat is seasoned so well. This was one of our go-to places during the workday for lunch when we both worked in Downtown SLC. They have a little toppings bar that you self-serve, and their restaurant has a fun feel with a Lucha Libre theme. Our friend Rachel introduced us to this place last summer, and boy what a mistake that has been! I am obsessed with their tacos! They have inventive combinations, but everything, including the guac is so fresh with a reasonable price. We go here when we’re looking for quick tacos with a slightly more upscale feel than Taco Taco. If you ask someone in SLC what the best Mexican food is, they will tell you Red Iguana. I am willing to bet on it. There’s a reason. Honestly, their chips and salsa are addictive. Every time I’m there, I go through an embarrassingly large amount of chip baskets. They are known for their mole, but pretty much everything is delicious! There’s almost always a wait, so go during an “off” time or be prepared to wait. Cafe Rio is a local chain that was started in Utah and expanded through the Southwest. I love their food because it’s always fresh and it’s packed full of flavor. You can think of it as a Cali-Mex version of Chipotle because they serve you on the line just like you do at Chipotle. 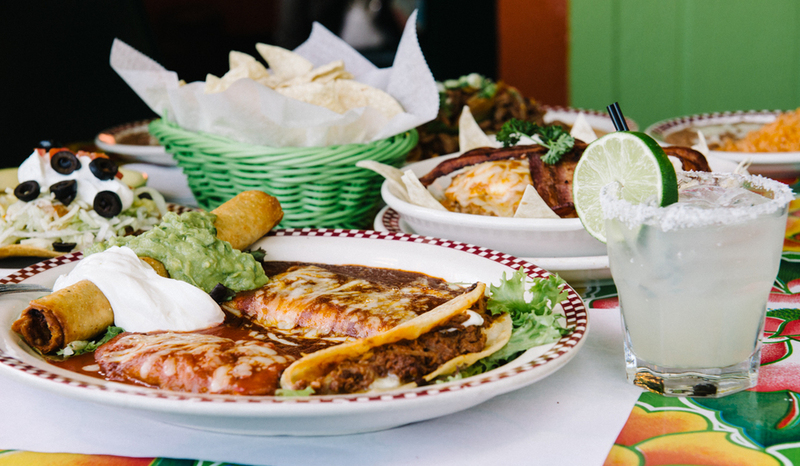 They are famous for their smothered burritos, so be sure to get one while you’re there. If you’re craving some good ol’ fashion breakfast with a lovely view, go to the Park Cafe. I loved that their food was just plain good, and reasonably priced too! I wouldn’t say breakfast is my favorite meal, but the Park Cafe was worth the weekend wait if that’s what you’re in the mood for. I also love that it’s across the street from Liberty Park, which is one of my all time favorite parks here. Another popular breakfast spot in SLC with a fun vibe, this is a great neighborhood option. I like this one because of the fun, relaxed vibe. 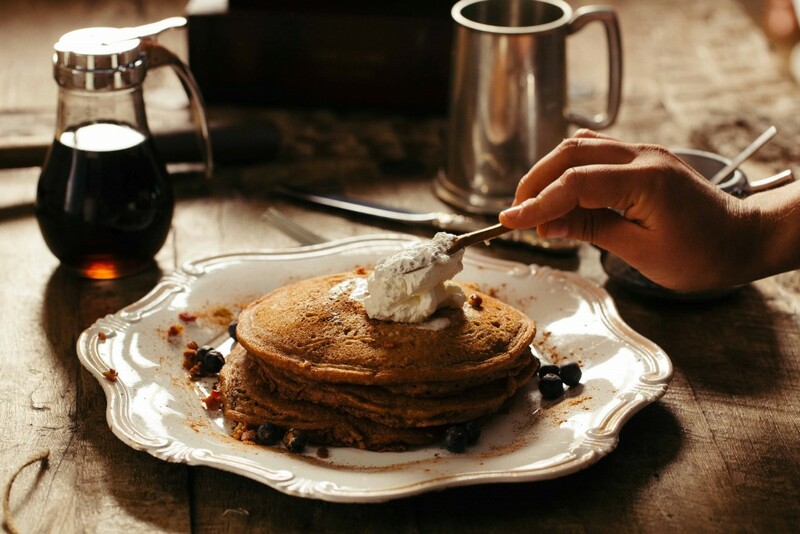 Don’t be mistaken though, as they will definitely have a wait on the weekends for brunch! This place is a little crowded, but during the warmer months you can sit on the covered patio and enjoy your mimosa and biscuits n’ gravy! On the list again is Maxwell’s for their breakfast sandwich. I cannot attest to the rest of their brunch offerings, but my husband and I love their breakfast sandwich! 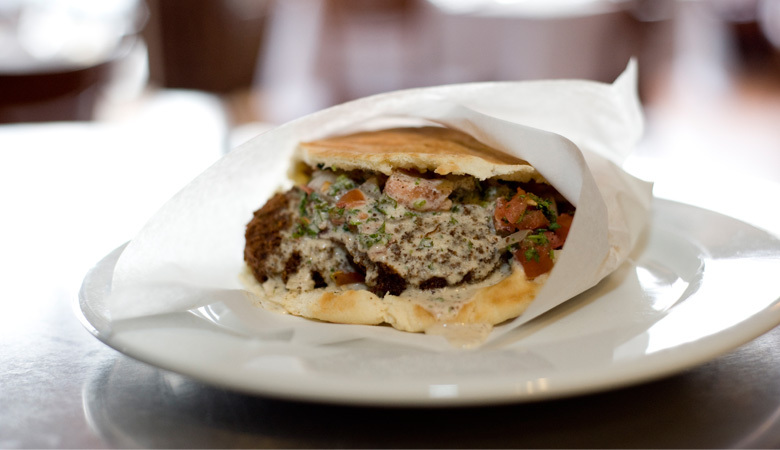 Mazza (2 locations) is our go-to spot for shwarma in SLC! We’ve tried others, but always seem to go back to Mazza. Their tahini sauce is so yummy with the tender lamb/beef shwarma. I like the 9th & 9th location better because it’s a bit bigger in a hoppin’ spot. We like to get gelato next door for an after dinner treat! When we first went to this place, I was very skeptical based off its location in a little strip mall. But boy, was I wrong! Their food is a great bang for your buck, and you can tell that they make it in the back fresh. The owner is usually there helping wait the tables. If you come here, get the chicken tikka with rice. It’s consistently tasty, and I love that it’s a family-run business too! First of all, let me start off with a personal story about this place… On the night that I arrived in SLC, New Years Eve 2013, my sister and I were desperate for a restaurant that was open late on NYE that also had vegetarian options (for her). Brighton’s sister (whom I was living with at the time) suggested The Kathmandu, and Katie and I both loved it! Ever since then, this has been my default Indian restaurant while living in Sugarhouse, East Central, and the Avenues. I like this place because they give you both naan and rice with an order of an entree, so Brighton takes one and I take the other. I also feel that their spiciness levels are consistent, and the quality of the food is always great. Plus, it’s fairly inexpensive for a sit-down/takeout Indian place. This is a great downtown location if you’re looking for Indian food in the area. When we both worked downtown SLC, we’d go here. Brighton enjoys their lunch buffet because he gets a little bit of everything. I learned that I really enjoy their Paneer because it’s a lot softer than other places I’ve tried. 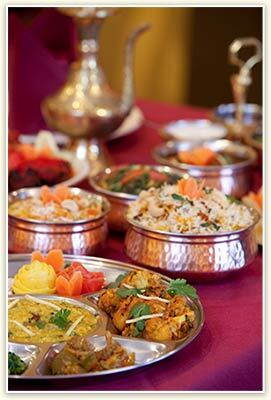 When I think of Indian food in SLC, I think of this place or Kathmandu. Fun little tidbit about this restaurant– I found this place while I was working late shifts at the hotel and needed *real* food after working my shifts (none of that drive thru crap!). I don’t usually go for burgers as my comfort food, but when I want an AWESOME burger, I come here. 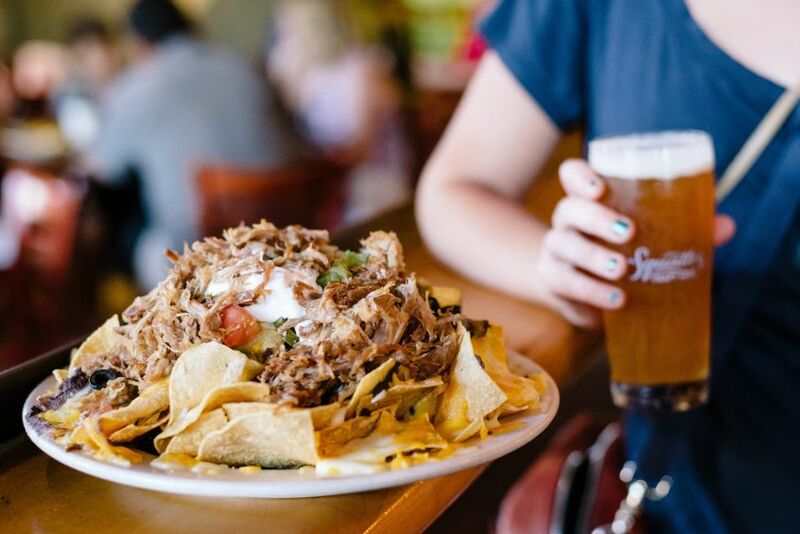 It’s technically a bar, so they do require 21+ with ID, but that does not discount their awesome food. I personally love garlic, so I get the Breath Enhancer which, in my opinion, is one of my favorite burgers EVER. Okay, enough said. Moving on. This funky place is located in Exchange Place in downtown Salt Lake. We first came here for drinks downtown, but we then discovered that their food is delicious too. I like their inventive combinations and rotating specials. I also love their burger (which means a lot coming from me– ask Brighton!). Also, get their Moscow Mule if you’re looking for a tasty drink. Let me preface this by saying, I am not a beer drinker but my husband is. Their beer is good and a Utah staple. If you like beer, try it! But…since this is a food post, I wanted to talk about Red Rock’s food. I worked at a hotel in downtown SLC for a couple years, and when people needed a recommendation, this is where I sent them (and Squatters below). Every time people came back from dinner, they raved about how much they liked it. I feel like that speaks for itself. I love their variety and quality in foods and lively environment. Its grown so popular, that there’s often a short wait for a table on weekend evenings. The other place I would recommend hotel guests to is Squatters. This is the other popular brewpub in downtown SLC, and they have their own brand of beer. This place has the most amazing artichoke cheese dip, and I look forward to eating it when I visit. I like that they have a little different variety and take on typical pub food, and their ethnic flavors are just as delicious as their burgers! I kind of hate bar food (greasy, makes me feel gross, unhealthy), but I will come here just for their food! Give them a try and see which place you like better! 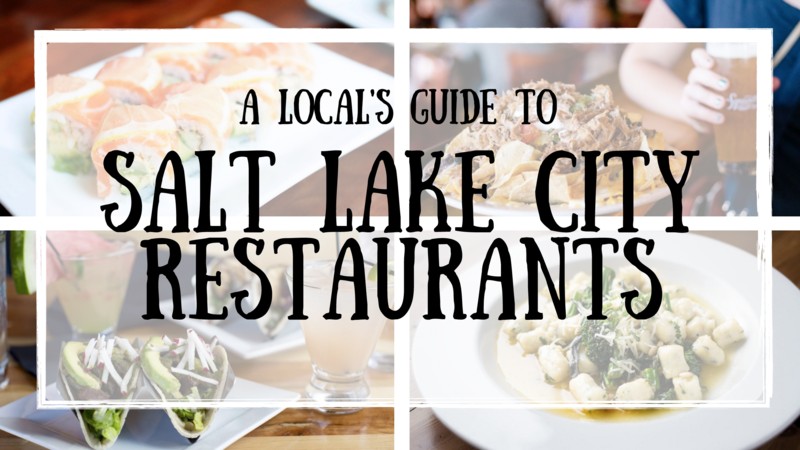 I know there are so many more great places in the SLC area, and I look forward to updating/creating a follow up post as I discover them! 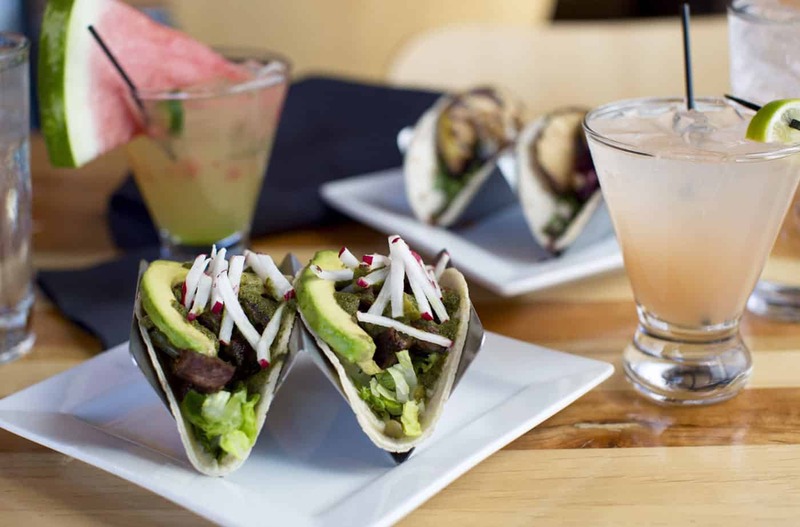 What are your favorite SLC restaurants?